Bernini Bianco 4x18 Matte. SOLD BY BOX OF 25 PIECES = 12.50 SFT. Bernini Bianco 4 in. x 18 in. Porcelain Tile makes a distinctive design statement with its unique vein cut travertine look and fossilized veining in the most desired whites, creams and warm grays hues. Durable and easy to care for, you can count on this gorgeous matte tile to bring a touch of artistic style to your home - whether it's used for flooring, wall tile or to create backsplashes and more. Installed floor-to-ceiling in the bathroom, Bernini Bianco harmonizes and visually expands the space - and it's equally appealing as a shower surround. 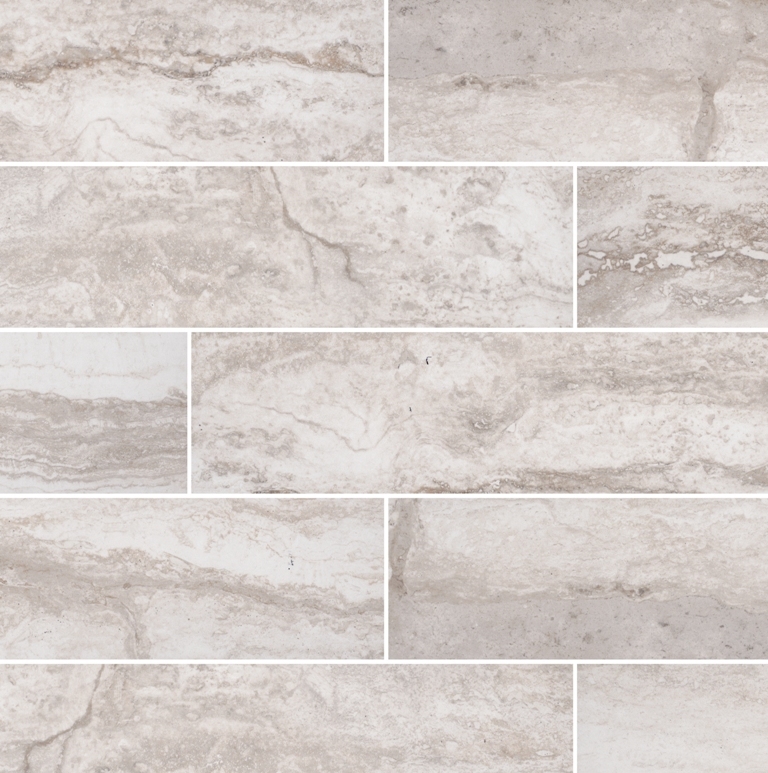 Long-lasting and multitalented, this uniquely sized travertine look tile is also suitable for light-duty commercial projects. This is a rectified tile, mechanically finished on all sides to achieve uniformity. Its precise sizing allows for a thinner grout joint, which results in a clean, professional install and reduces staining issues. Multiple tile sizes, along with coordinating decorative mosaics and bullnose give your project a finished look.